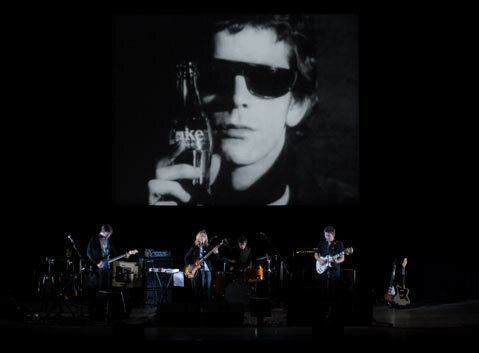 It comes as no surprise that when the Andy Warhol Museum went in search of someone to score the artist’s famous screen tests they turned immediately to Dean Wareham and Britta Phillips. The husband-and-wife indie duo (formally Dean & Britta) radiates ’60s-influenced Factory-era cool, and their sound-a mix of garagey minimalism, slow guitar builds, and hushed vocals-begs comparison to the Warhol’s beloved Velvet Underground. This Saturday, October 10, Dean & Britta will perform 13 Most Beautiful, a 75-minute collection of original and cover songs set to 13 of the screen tests, at UCSB’s Campbell Hall. For tickets and info, visit artsandlectures.sa.ucsb.edu. Below, Wareham shares his thoughts about the project.